Why have an employee hotline? What are the benefits, if any, of an employee hotline? In this article, Ray Dunkle shares his views and the results of implementation. While many forward-thinking organizations are increasingly implementing hotlines, the best practice of such a hotline is so new to most, that few know how to successfully do so. The remainder of this article provides practical insights, including how to gain support from those who are resistant to change. The movement towards hotlines is logical. They are quickly implemented and cost little. Of course, this is only relevant because hotlines work and provide numerous benefits. Hotlines are an effective tool for finding small problems before they cause significant damages. The ACFE wrote in its 2014 Report to the Nations, “Organizations with hotlines are much more likely to catch fraud by a tip, which data shows is the most effective way to detect fraud” and “losses due to each fraud incident are reduced by an average of forty-one percent, and are detected fifty percent more quickly when a hotline is in place.” While detection is appealing, the value of deterrence should not be overlooked. With appropriate levels of pressure, opportunity, and rationalization, everyone is capable of making a poor decision. The implementation of a hotline, and the corroborating and on-going messaging, encourages wise decisions; decisions that protect the individual and the organization. The presence of a hotline may provide evidence of both 1) and 2) above. Furthermore, baseless lawsuits may be more easily discredited if an available hotline was not used to report an alleged concern. As ethical and safe behavior increases through the use of a hotline, so does employee retention. Of course, all of these benefits work together to enhance an employer’s reputation. In fact, the Society of Human Resource Management has written, “it is generally recommended that all organizations implement some type of whistleblower system for reporting wrongdoing” because hotlines are so effective. Because of the benefits, proactive organizations are implementing hotlines. Yet, since this tool is so foreign to most executives, effective implantation is just as foreign. The following gives actionable advice on doing so, including garnering support from those who do not like change. The key to implementation is determining features important to your organization. Practically, many organizations do not need many of the advanced features stressed by service providers. The most significant benefits of detection, deterrence and “insurance,” may be accomplished with basic functionality. As discussed below, larger entities may benefit from other features, including case management. Organizations must first decide whether to use an internal hotline or a third party. Internal hotlines may seem less expensive (voice-mail box, e-mail address), but commonly are more costly. Most reporters choose to have anonymity. Thus, an internal hotline may not be trusted, eliminating opportunities for controlling costs. Furthermore, there is a cost to using internal resources to maintain software, man calls, establish appropriate messaging, and other important steps. No matter where the hotline is centered, several reporting channels should be available. When a concerned party is prepared to step-up, there should be no hindrances to their success. A few sources suggest providing a website, toll-free number, fax number, e-mail address, and a mailing address. Reports tend to be more comprehensive and understandable when live operators work with emotional reporters. Unguided questioning via an automated voice-mail box, or a general “tell us what happened” web form also result in incomplete information. While English and Spanish cover the first or second language of nearly all U.S. residents, some will also need other languages. Additionally, many reports are filed after work hours so 24/7/365 can be critical. A treasure of information can be revealed when web reporting is available. Many reporters find it less intimidating and feel less rushed. As a result, they are better able to think through the details. Again, the details are more apparent when guided questions are presented as opposed to a catch-all “tell us what happened” data box. “Case management” is a feature being touted as a significant differentiator. This term refers to the software’s ability to store reports, investigation notes, and evidence. As previously noted, while nice, this feature is of less significance to smaller organizations (i.e., those with fewer reports. Other functionality popular with larger organizations may include the ability to sort, have anonymous communications with reporters, segmentation of reports by facility, and the ability to graph trends. Trending may identify opportunities for improved controls and better employee training. If not available through case management, a mechanism for reporters to obtain new information from investigators or provide new information may be critical for gaining credibility amongst employees. Organizations may also want to consider the range of issues covered by a hotline. One covering both financial and human resources (HR) issues may be less confusing, and thus more effective, than two separate hotlines. The ability to disclose safety concerns may lead to lower workers’ compensation costs and fewer governmental fines. Of course, the above does not matter if the hotline is not promoted or trusted (more on trust later). Live and pre-recorded training, along with informational pieces such as wallet cards, posters, and memos, create initial knowledge. On-going communications establish top-of-mind awareness. Desktop links to the hotline provide immediate availability and a constant reminder. Disclosure to clients and vendors may also uncover cost saving opportunities. Implementation is important and must be done well. According to Lee Beall, CEO of Ohio based Rea & Associates, CPA’s, the addition of client hotlines has resulted in almost immediate results for his clients including detection of perceived religious discrimination, e-mail security issues, redirection of vendor rebates, and improper use of customer discounts. In every case, the client was immediately notified, resulting in corrective action. Without question, great planning is worthless if the hotline does not gain acceptance. This acceptance must come from management, even if they are reluctant to change, and from employees, even if they are skeptical of management. Detection – A hotline will catch problems ranging from theft, to safety violations, to HR violations. Finding one issue can offset the cost of a hotline for decades. Deterrence – A strong tone at the top, and access to management, prevents problems from occurring. A bank guard is being effective even when the bank is not being robbed. Insurance – A hotline can provide an “affirmative defense,” helping to avoid governmental fines and/or discredit fictitious and malicious lawsuits. Protection – from losing employees. A hotline demonstrates that their best interests are important to management and stops problems that can lead to the departure of skilled talent. Reputation – The selfish actions of just one person can destroy the life-time efforts of an organization. Ease – Implementing a hotline typically only takes a few hours. Fees – Most organizations incur only a nominal cost. A frequent concern voiced by management is the fear the hotline will be abused. The reality is, this rarely happens. My company, for example, has almost no experience hearing from management that filed reports were not true. Remember, before the telephone and the internet, employees could make a co-worker’s life difficult with a simple written letter. The important thing is that, “implementing a hotline sends a clear message to the organization that acting in an ethical manner counts,” according to Randal Simonetti, Reputation and Crisis Management Expert with Rochester, NY based EFP Rotenberg, CPA’s. Once the decision is made to implement a hotline, take steps to gain employee buy-in and trust. Assure employees reports will remain anonymous and make it known that the hotline does not record calls or track IP addresses. Remember, if employees were comfortable speaking up, most would do so; anonymity appeals to nervous reporters. The tone established must be positive. Organizations have one chance to make it known that the hotline exists to prevent “one bad apple from spoiling the bunch” and not to create an aura of “Big Brother.” Since the purpose of the hotline is to protect everyone, the hotline should be presented as a benefit. Also, let employees know that named suspects will be assumed to be innocent unless the opposite is proven. Doing so will eliminate questions from a select, but skeptical, few. The hotline is not a replacement for “open door” policies. Reminding employees that management’s preferred form of communications is through direct conversations signals that the hotline is not the first step in a sweeping cultural change but rather is a strengthening of the existing environment. To gain more trust, let employees know who has access to filed reports. This increases clarity and decreases any sense of “mystery.” Finally, the organization will benefit from an anti-retribution policy protecting those who file reports. This last point is critical for both the reporter and the accused to understand; particularly if the accused is a superior to the reporter. In all cases, management must treat sincere reporters with gratitude and respect. Trust is strengthened via success stories. This is particularly true where jobs and physical well-being were protected. Information about the nature of the reported concern and the resulting changes drives support. Positive change activates positive participation. On-going communication is key to keeping the hotline top-of-mind. Communication can also be accomplished through training, posters, wallet cards and posters. Even if not read, they provide a frequent reminder that the hotline is in place. Ultimately, several internal guidelines must be established. At least two people should be notified when a report comes in. Why? First, it reduces the risk of collusion. Second, it minimizes the risk of a simple oversight. My advice: do not over-complicate matters! Making a positive change is what matters. With just a minimal amount of planning and effort, organizational well-being can increase while expenses and distractions decrease. Ray Dunkle is founder and President of Red Flag Reporting. After significant growth, resulting in clients throughout the U.S. and internationally, Red Flag Reporting spun-off from the CPA firm where Mr. Dunkle was a shareholder into an independent hotline provider focused solely on promoting safe and ethical behavior in the workplace. 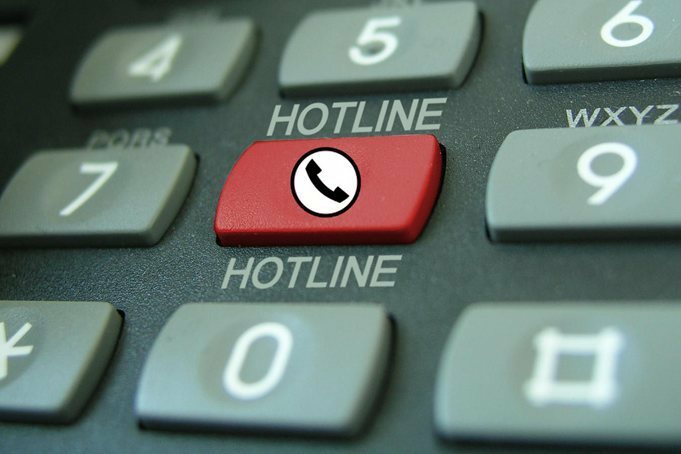 Red Flag Reporting’s hotline service is also licensed by CPA firms throughout the United States, including the founding firm, in order to assist their clients in protecting assets, employees, and reputations. Mr. Dunkle can be reached at: (330) 860-5602, or by e-mail to: ray.dunkle@redflagreporting.com.